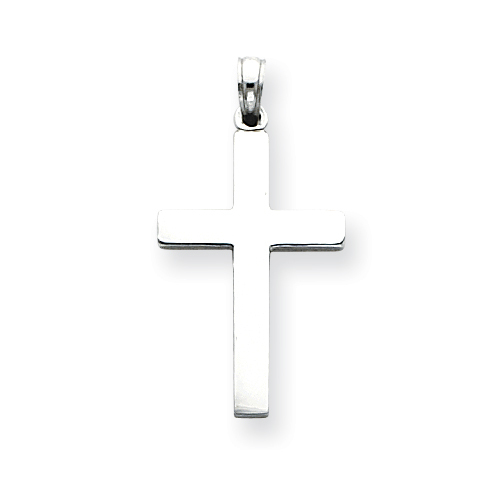 14k white gold cross pendant has a shiny smooth finish on front and back. Item measures 5/8 inches wide by 15/16 inches tall without loop and bail. Rhodium-plated. One of the oldest forms of the cross, the Latin cross is also the true form of the cross. Weight: 1.58 grams.